This topic contains 7 replies, has 0 voices, and was last updated by Xenu 3 years, 6 months ago. I’m trying to log into my Zeroshell’s LDAP server using phpldapadmin. I need to alter the users to include an attribute our PGP server uses. I was hoping to use just one LDAP server for the entire company but our PGP server requires me to add an inetorgperson attribute called EmployeeType to each account. as my login name and i know this is the correct DN. I AM able to bind to the LDAP server anonymously, but thats read only so cannot alter the attributes of users. If not, is there any way I can alter user attributes to include an attribute ? Many thanks and keep up the good work, Zeroshell rocks – WPA2 Enterprise in 10 minutes! 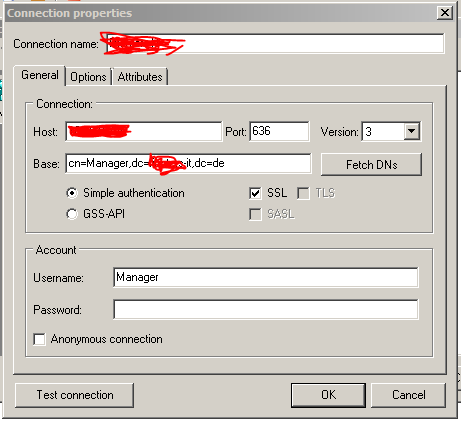 It is possible to connect using “cn=Manager,dc=mycompany,dc=co,dc=uk” and a password of admin user using LDAP browser. Not sure about phpLdapAdmin. Glad to hear that. I’m not sure that your changes are persistent. Not whether they disappear after a reboot? I have just checked and rebooted the server, I can confirm the changes to LDAP are persistent.